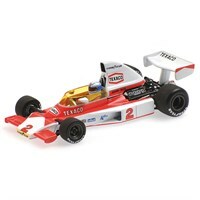 Minichamps 1:43 replica of the McLaren M23 driven by Jochen Mass in 1975. 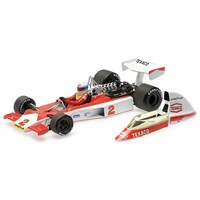 A 1:18 replica of Jochen Mass' McLaren M23 from 1975. Manufactured by Minichamps, the replica features removable bodywork and incredible engine detail. Measures approximately 10 inches (25cm) in length.